Archaeological investigations are required before any development can take place, so Urban&Civic as master developers for Middlebeck, invited a team of experts from Oxford Archaeology North to take the lead in the excavations and ensure that any findings were recorded and preserved. 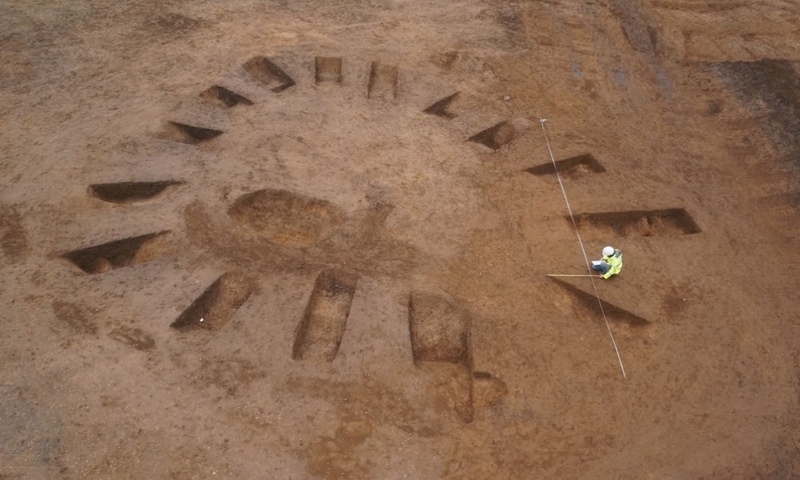 Whilst Newark is a town rich in history, the team of excavators were not expecting to unearth the array of fascinating finds that have been discovered so far, which are believed to be some of the most significant in the country and indicate a long-lived and intensely occupied landscape. At this point in time, these settlements have been identified with the Late Neolithic/Early Bronze Age (c 2500-1500 BC), Middle to Late Iron Age (c 400BC-100 AD) and Romano-British (100-410 AD) periods. There are even elements that extend as far back as the Early Neolithic (4000-3500 BC). As an expansion of the public outreach work initiated during the first phase, the project has included a number of excavation visits by interested community groups, including the Newark & Nottingham Young Archaeologist Clubs and local archaeology and history groups such as the Farndon Archaeological Research Investigations (FARI). The project continues to the west of Bowbridge Lane to prepare the site for the next phase of development. With thanks to Dr. Adam Tinsley, Oxford Archaeology.